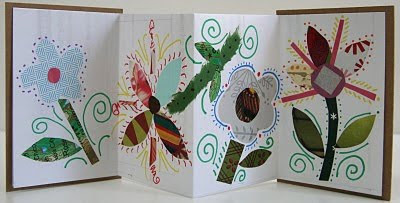 Join us for an evening of hands-on fun and make a small book to welcome in the spring. Susan will lead you through the bookmaking process and then you'll have time to decorate your book with images cut from garden catalogs. Celebrate the arrival of spring amidst forsythia blossoms and sprigs of green at this joyful family event featuring lots of community singing, refreshments, and entertainment by children from our Spring Workshop. Revels music director George Emlen hosts the celebration featuring legendary folksinger Tony Barrand, Revels favorite David Coffin, soloist Jamie Jaffe and a fine band of musicians. And bookmaking with me! Welcome in the spring with this simple book that unfolds like a fan. As a gift to the earth, the books will be made from recycled materials. A project with Lowell poet and old friend Paul Marion—his poems, my lettering and book design, binding by you! Plus a tour of the South Common in Lowell. Details will follow. 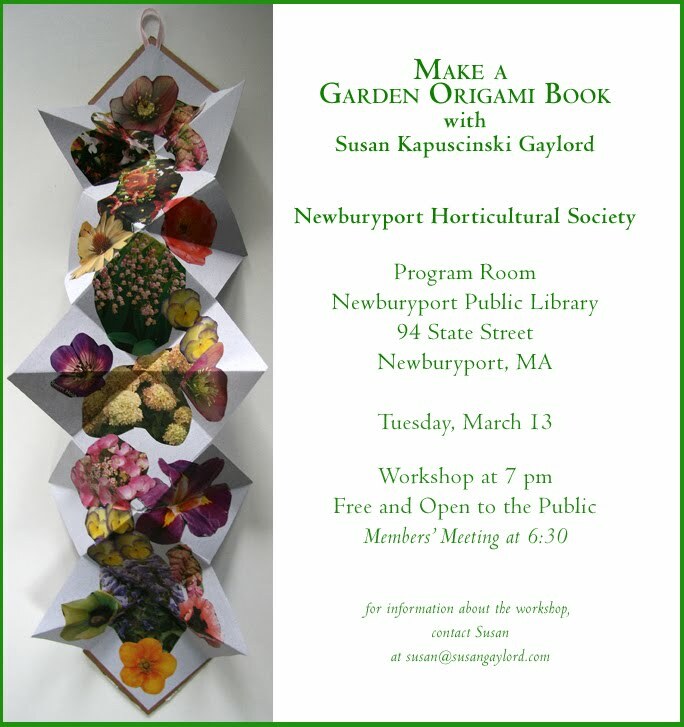 Author, educator and renowned Newburyport artist Susan Gaylord guides young and old during this workshop on creating personal poetry books. 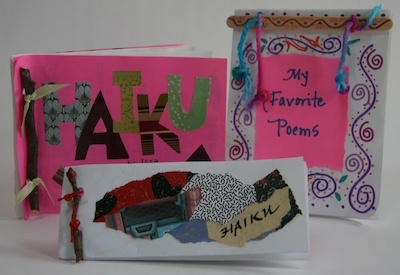 Using a stick, string or ribbon, and recycled paper, each burgeoning artist will craft a small book perfect for haiku or other small poems. 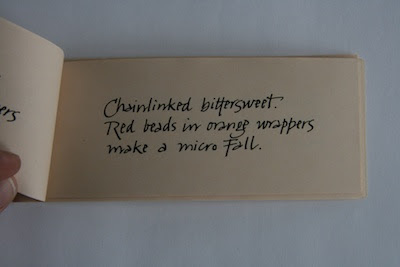 Collage papers, markers, and printed haiku from the Japanese masters will be supplied. This workshop is geared for families but open to all. Oh, Susan, how I wished I lived where you live so I could experience your classes. 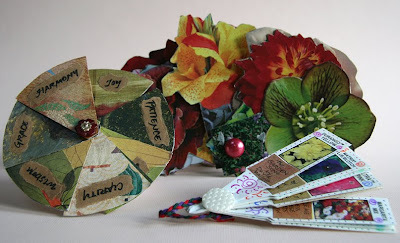 sigh... Mahalo, thank you, for sharing announcements of your gatherings; ideas are abundant from the photos of projects. I take that as great praise from someone who lives in Hawaii. Thank you so much. I'm glad you find the photos an inspiration.